Tickets for his Sounds Of The City 2017 show are available to buy now. 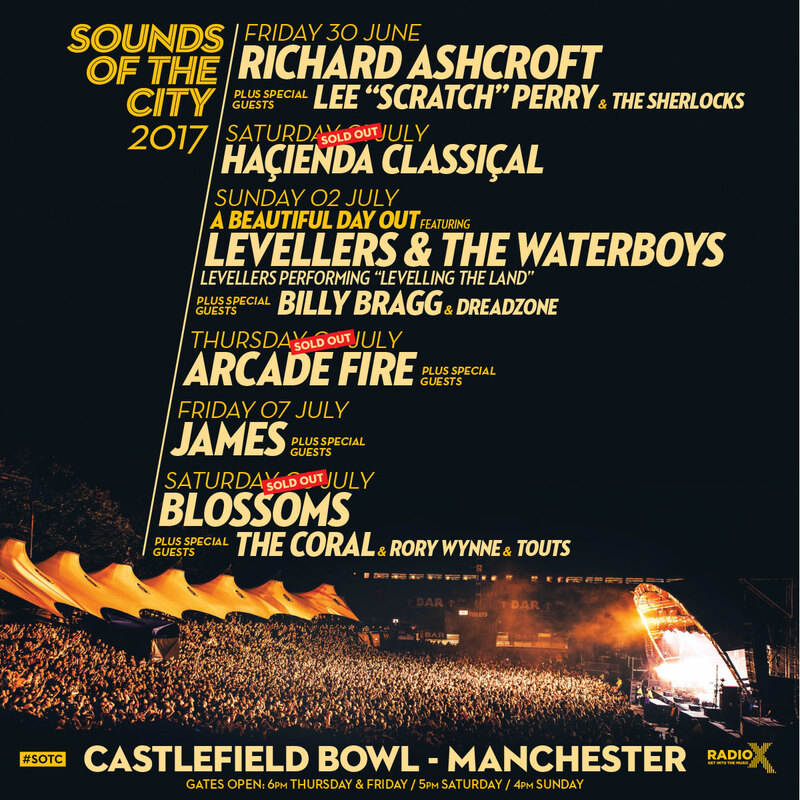 Richard Aschroft is set to play Castlefield Bowl for Sounds Of The City 2017. The These People singer will play the festival on 30 June with special guests Lee "Scratch" Perry and The Sherlocks. The summer event - which hosts gigs in June and July at Manchester's Castlefield Bowl - will also play host to the likes of Arcade Fire, James and Blossoms.